In the snowy kingdom of Erkenwald, whales glide between icebergs, wolves hunt on the tundra and polar bears roam the glaciers. But the people of this land aren’t so easy to find – because Erkenwald is ruled by an evil Ice Queen and the tribes must stay hidden or risk becoming her prisoners at Winterfang Palace. I was sent a proof copy of this book by the wonderful the publishers in exchange for an honest review. This does not affect my review or my opinions in any way. Thank you Simon & Shuster Children’s for sending me this book to read and review. I also bought a finished copy myself from my local bookshop. Back in 2015 a proof landed on my doorstep of a new book by a debut writer. 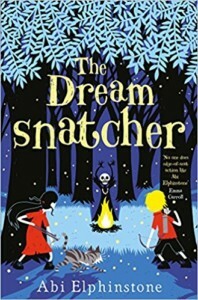 That book was The Dreamsnatcher and the debut author was Abi Elphinstone. Three years later and I squealed with excitement when a proof copy of Sky Song, Abi’s fourth book and a stand alone story, landed on my doorstep and I just knew that a magical adventure was awaiting between the pages ready to sweep me off my feet. And swept off my feet I was….completely. Sky Song tells the story of Eska who has been captured inside Winterfang Palace by the evil Ice Queen who rules all of Erkenwald. Stuck frozen inside a cursed music box Eska has no memories of where she has come from, who she is or why the evil Ice Queen wants to steal her voice from her. 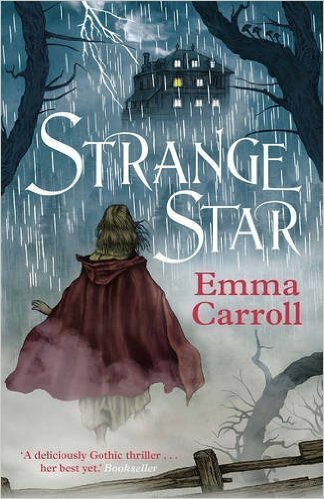 All tribes in Erkenwald must stay hidden or risk becoming prisoners themselves , but one boy, an inventor called Flint who still believes in magic, breaks into the castle on a mission to save his parents who have been captured by the evil Ice Queen. He decides to break the curse that is holding Eska in her music box and when this causes his plan to save his parents to go wrong Flint and Eska escape together and so begins their journey to find an ancient song with the power to restore Erkenwald back to its former glory without the Ice Queen at it’s helm. Straight away from the fairy-tale prologue you instantly know that Sky Song is going to be something very very special indeed. 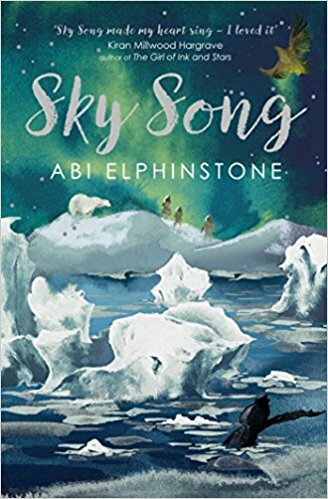 Abi Elphinstone instantly builds the foundations of Erkenwald around the reader drawing them into the depths of its icy, snowy world where anything is possible and it is truly wonderful. With it’s wintery snowy setting with vast epic landscapes and snow capped mountains Sky Song is as breath taking in the imagery it creates as the story it tells. 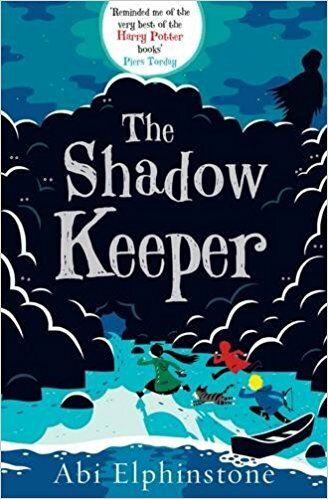 An adventure of bravery, friendship, kindness and belonging, through frozen waterfalls with secret hideaways, labyrinths with rope ladders, snow monsters, Erkenbears, an eagle and most of all magic. The story is told from both Eska and Flint’s voice with varying chapters with the story sometimes giving us a glimpse from the evil Ice Queens point of view too. I enjoyed all of these and it made the story flow really nicely with a good pace that makes the reader eager to keep flicking the pages to find out what will happen next. The Ice Queen has such a terrifying, powerful and frosty presence on every page she appears on. From her black staff, her evil magic captivating people under her spell, to her icicle organ that plays the voices of her prisoners to the whole land. She is a magnificent character that is not easily forgotten. The same goes for Flint’s sister, Blu, too. I loved her character so much and I loved how devoted she is to her brother and never doubts him for one second. Even when she is in the most gravest of danger she believes in her brother and Eska and becomes a brave adventurer herself. Eska, Flint and Blu never give up hope. One of my favourite parts of the book has to be when Eska, Flint and Blu find The Grey Man….who’s character I absolutely loved. I don’t want to give too much away but he made me smile lots. This book would make the most breath-taking film or TV movie….someone sign it up now please! 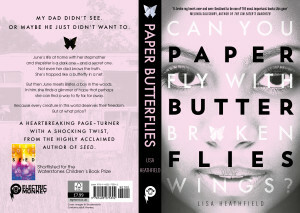 Abi Elphinstone is hands down one of my favourite authors. And Sky Song is a classic in the making. Her writing and storytelling is just as stunning and as precious as a diamond which will dazzle you with it’s pure beauty. I recommend this book to both adventurers young and old and want to be swirled into a gorgeous snow storm of a book with unforgettable characters and a story that will make you feel like you have found your tribe and where you belong. You can find more about Abi at www.abielphinstone.com or follow her on social media: Facebook: www.facebook.com/abi.elphinstone; Twitter: @moontrug; Instagram: @moontrugger. Click on the below links for previous post with Abi Elphinstone her on Tales Of Yesterday! 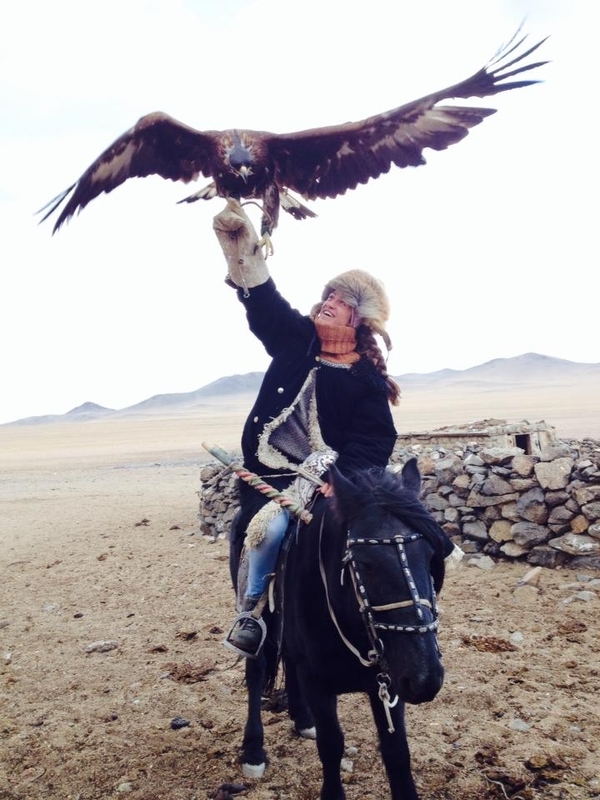 Have you read Sky song? What did you think? 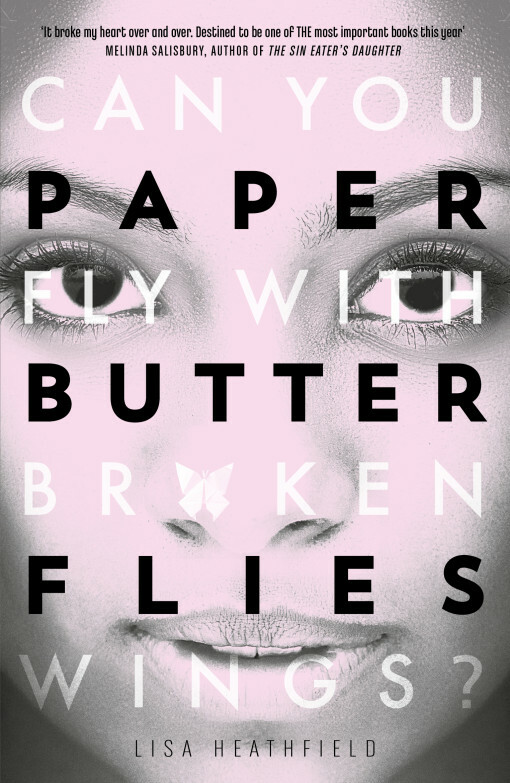 Have you read any of Abi’s other books? I would love to hear from you! Please feel free to leave a comment by clicking on the reply button at the top of the page or why not tweet me on twitter – @chelleytoy . I would love to hear from you! This entry was posted in Action / Adventure, Fantasy / Urban Fantasy, MG, Review, UKMG and tagged Abi Elphinstone, Action, Adventure, Fantasy, MG, Review, Simon & Schuster, Sky Song, UKMG on January 9, 2018 by Chelley Toy. Yo ho ho, me hearties. Marge is back! This time there’s a baby on the loose. Meet Zara, the naughty little cousin, who never sleeps and loves to steal treasure. Marge thinks she’s a pirate and maybe she’s right. I was sent a copy of this book by the wonderful the publisher, Piccadilly Press in exchange for an honest review. This does not affect my review or my opinions in any way. Thank you Piccadilly Press for sending me this book to read and review. Marge and the Pirate Baby is the second middle grade book from Isla Fisher about the Button family and their wonderful babysitter, Marge. 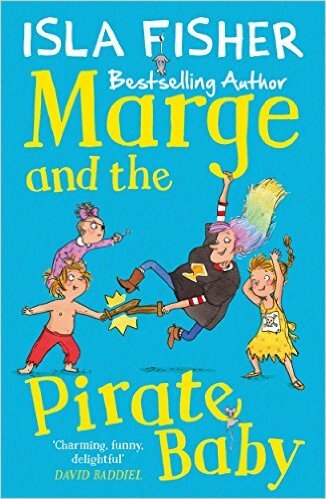 Told from the point of view of young Jemima Button, Marge and the Pirate Baby gives us three more brilliant laugh out loud stories that are full of warmth, love and fun. The Button family used to be an ordinary family until Marge came along and incredible things always happen when she is around. I absolutely adored Marge the super adventurous babysitter who is the same size of seven packets of biscuits topped off with wonderful rainbow hair and who grew up in a palace (or so she tells people). The character of Marge was so much fun and everything you could ever want in a babysitter. Marge and the Pirate Baby is split into three super fun stories and the illustrations by Eglantine Ceulemans are absolutley pheonomenal and really bring the story to life. When Cousin Baby Zara comes to visit (nicknamed the ambulance because her crying sounds like a siren) Jemima and her brother know exactly what they are in for. Although Zara acts all cute to the adults she’s rather quite naughty. Marge declare she’s no ordinary baby….she’s a Pirate Baby. This story was super funny especially the part when they are changing Zara’s nappy. I also loved the vivid stories that Marge tells the children of when she was an actual pirate nanny. A story about having fun, caring and learning to share even in situations that you might not necessarily be happy about being in. I loved the gathering of all the expedition items and the potential mishaps along the way like taking dog blankets instead of towels and shaving cream instead of sun cream. Again tales of Marge’s expeditions including sharing shampoo with an orang-utan called Oscar were an absolute highlight. A story about being brave, trying new things and exploring the world around you. This story is all about a wedding and Jemima being bridesmaid for her Uncle Desmond and was the perfect ending story to this book that left me feeling all warm inside. There are potential disasters along the way like blue handprints on the brides dress and missing wedding rings, but Marge is always there to save the day. I really adored this story. 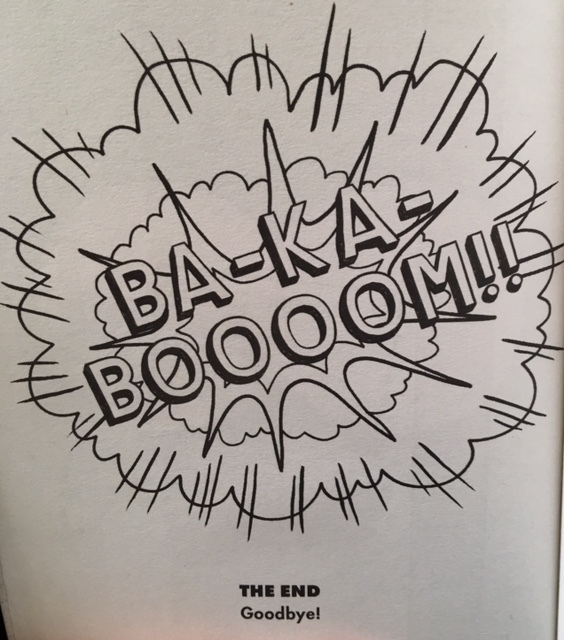 A touching heart-warming ending to a brilliant enjoyable read. 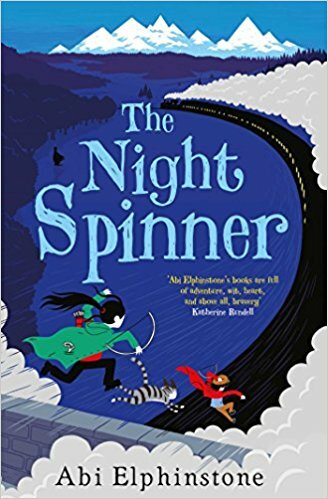 I think you can tell that I really loved this book and I love the way that Isla weaves in the humour with a natural flow. I had not read the first book, Marge In Charge, but these books can be read in either order as they work well as stand-alone as the stories tell you all the background you need within the stories. 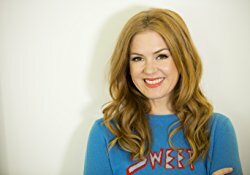 Isla Fisher has created wonderful stories to share with all the family and to inspire children and adults alike. Full of humour and warmth this book will make you smile long after reading it. Isla Fisher has worked in TV and film for 25 years. She has played many fun and different characters, but her favourite role is being a mummy to her three children. Isla has been making up stories at bedtime for them every night since they were born, which is how ‘Marge in Charge’ began. 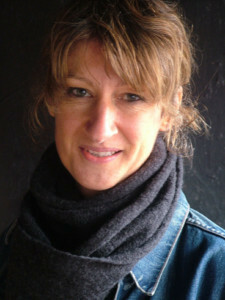 Eglantine Ceulemans spent her childhood reading Belgian comics. In 2007 she joined the Emile Cohl School of Art in Lyon, France, transforming her passion for illustration into a vocation. She loves working in an intuitive way, combining humour and sensitivity, and using different mediums and techniques. Eglantine currently resides in Lyon. With thanks to the lovely people at Piccadilly Press I have 2 copies of this wonderful book to giveaway to 2 lucky winners! 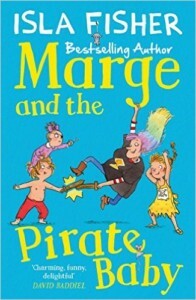 Have you read Marge and the Pirate Baby or the first book Marge In Charge? Did it make you laugh out loud? I would love to hear from you! Please feel free to leave a comment by clicking on the reply button at the top of the page or why not tweet me on twitter – @chelleytoy . I would love to hear from you! 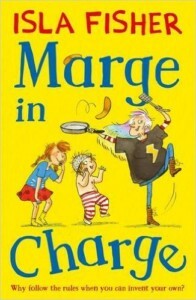 This entry was posted in Humour, MG, Review and tagged Humour, Isla Fisher, Marge and the Pirate Baby, MG, Review on January 12, 2017 by Chelley Toy. LONG, LONG AGO, when kings ruled the land, dragons filled the sky and magic still existed, two small children stumbled upon the game of chess. This is your chance to discover it with them …Join PIP and HOLLY on a magical fairy-tale adventure and become a CHESS MASTER. 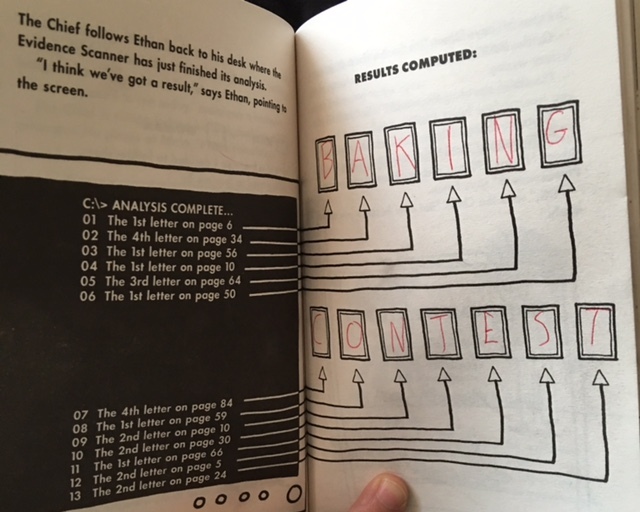 Packed with INTERACTIVE PUZZLES and GAMES, and clear instructions and tips on how to improve your technique, this book is a must have. 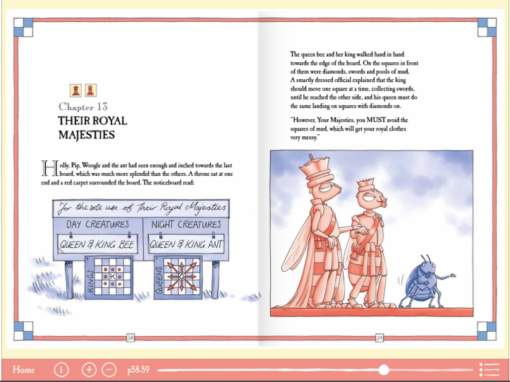 There is also an interactive, smartly-designed iPad app that is ideal for children aged six and above. Using the same story and Martin Brown’s illustrations, it features clear tutorials, tips on how to improve your technique and suggestions for chess moves to try. There are one and two player game options, three different levels (easy, medium and hard) and the ability to play a friend either side-by-side or opposite each other as on a traditional board. 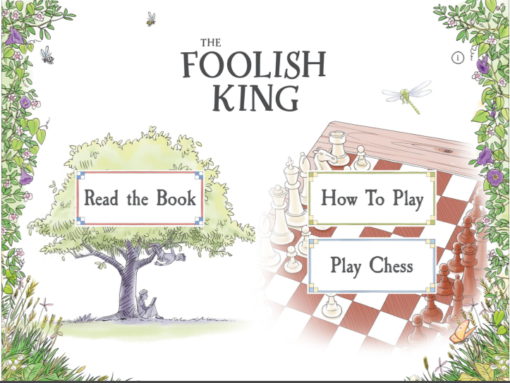 The Foolish King app will be a superb companion to the book. I was sent a copy of this book to review by the wonderful Laura at David Fickling Books! This does not affect my review or my opinions in any way and am delighted to write an honest review. Thank you for sending this to me to read! Now I am the first one to admit I am really not a chess player. I have never understood it throughout my whole life. Even when it’s been explained to me time after time after time I could never get the hang of it. Give me a good old game of simple draughts any old day I would say! So when the opportunity came around for me to receive a copy of The Foolish King for review and hearing how the author, Mark Price, wrote it for his daughter to help her learn to play chess I thought I would give it a shot. The book tells the fictional story of the village of Stur and how, upon the King’s death his son King Parip rules the land. A greedy, mean and jealous man who with Crow by his side runs the village into the ground until there is no food, no gardens or crops and no insects. 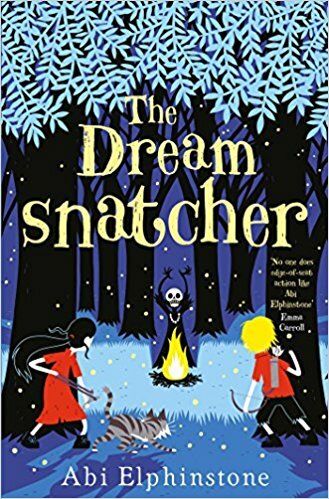 When there is only one pear tree left in the land and with the King threatening to chop it down Pip & Holly know they must do something before it’s too late! The story reads like an old fairy-tale and brings to life the village of Stur and it’s characters. As the book progresses Pip and Holly realise that they will have to learn a new game, chess, to try and help safe the village and their beloved pear tree. The illustrations by Martin Brown are stunningly beautiful on each and every page and really bring the story to life before your eyes. 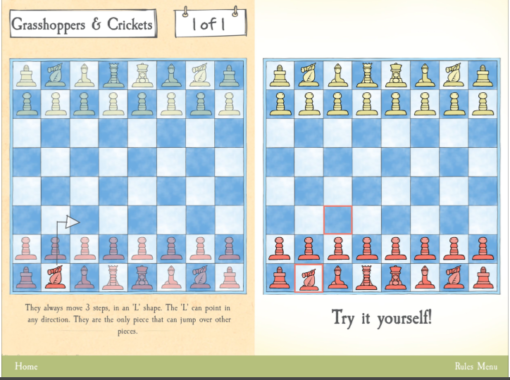 And the interactive parts of the book with various chess boards and puzzles were perfect. What I loved about this book was the step by step guide that it takes you through with learning the different chess moves. 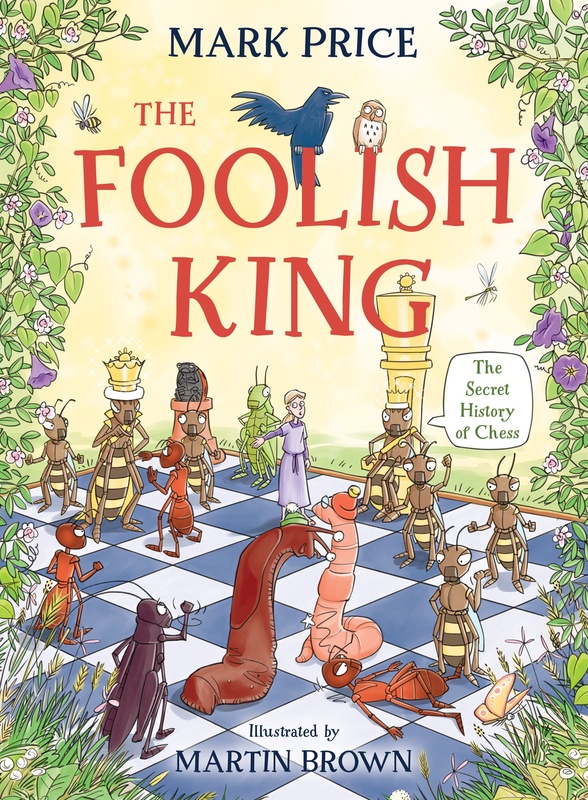 The traditional chess pieces are replaced with insects but this is clearly labelled at the front of the book as to which piece is which. There are explanations, tips on playing chess and little puzzles to try out the new moves you have learnt as you go along. 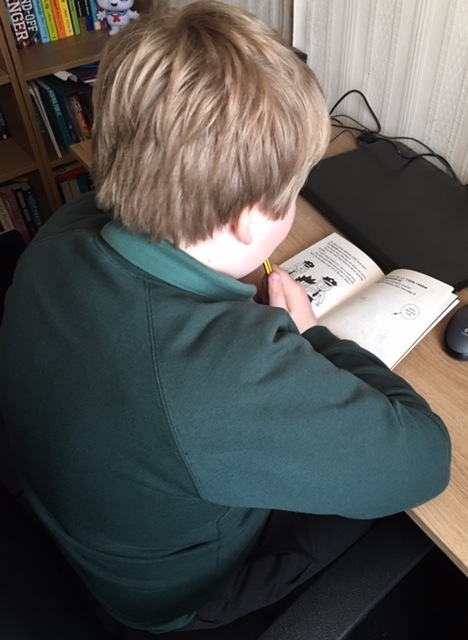 I found myself fully absorbed in this book and concentrating not only on the story but trying to remember the moves and learn them all in the process ready for me to try the app out on a real game of chess. It amazed me how simple Mark Price made chess seem through the way he tells the story and the explanations. I always thought it was so complicated, but it felt understandable to me completely. Once I had finished the book I tried out the app which again really surprised me and blew all my expectations up in the air. 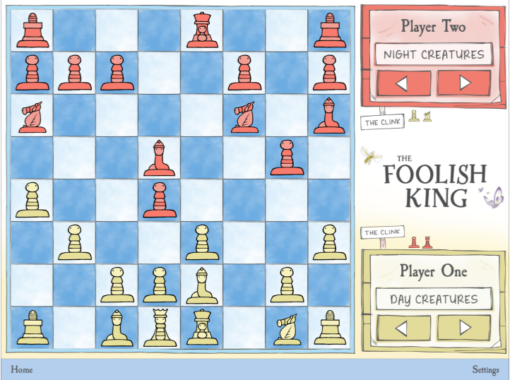 With the app came a digital version of the book, an option to learn the game of chess focusing on each individual chess piece and the game of chess for one player, against the computer, or two player, against your friends or family. I went into a game of chess at least knowing the moves and giving the computer a run for it’s money…..yes I know I lost three times, but I’m still learning and I at least felt like I knew what I was doing some what. This book and/or the app is aimed at younger children, but I think it would make a good family read and with the app alongside it fully enjoyable and super fun. 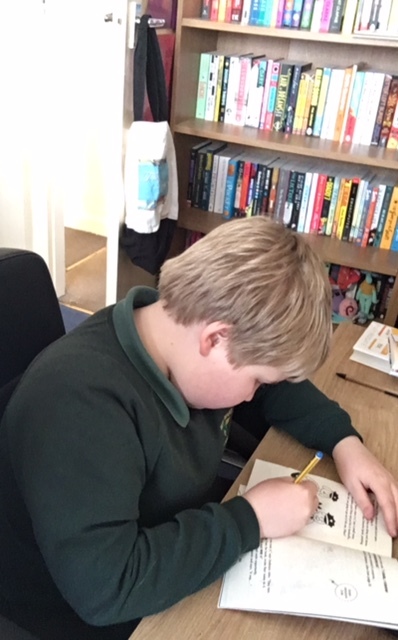 In fact my son has ran off with the book to read as soon as I put it down…..he thinks he can defeat me at chess……NEVER! 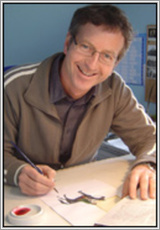 Martin Brown is best known for his illustrations of the best selling Horrible Histories series. 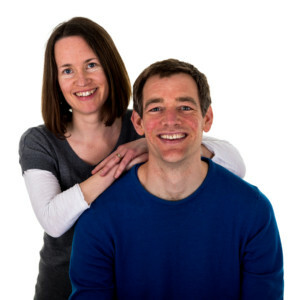 He has also written and illustrated Lesser Spotted Animals, published by David Fickling Books. This entry was posted in MG, Other, Review, UKMG and tagged 4, Interactive, Mark Price, Martin Brown, MG, Review, The Foolish King, UKMG on September 6, 2016 by Chelley Toy. Today I have something a little different as I am reviewing a fab new gorgeous picture book that is due to be released on the 4th August 2016 published by Scholastic. 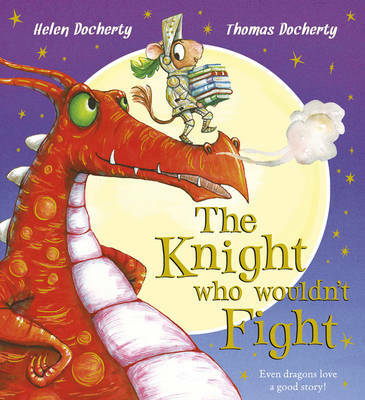 The Knight Who Wouldn’t Fight is by Helen & Thomas Docherty and is gorgeous inside and out. Beautiful words by Helen and stunning illustrations by Thomas make this picture book a joy to read. 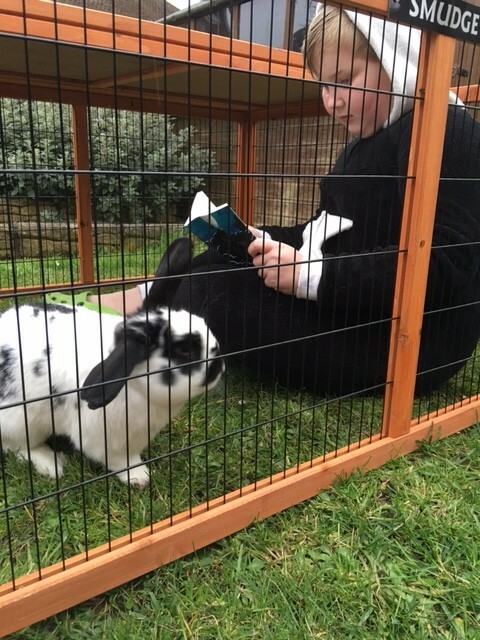 For my stop on the blog tour I am going to share my thoughts on the book and post a review….but in a slightly different way! A huge thank you to Faye Rogers and Scholastic for having me on this wonderful tour and for sending me the book to read. Leo the mouse isn’t like the other knights. While they like fighting, he’d rather read a book. Leo’s parents are keen to turn him into a proper knight, so they pack him off on a mission to tame a dragon. But Leo knows that books are mightier than swords, and he tames not just the dragon, but a troll and a griffin, too \- by reading them stories. With its witty rhyming text and glorious, detailed illustrations, THE KNIGHT WHO WOULDN’T FIGHT is a joyful, magical picture book about the power of stories. 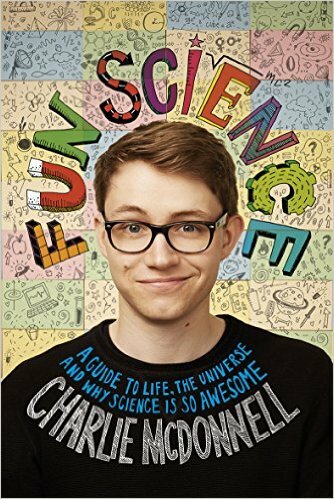 Please note that this book is written in rhyme so therefore I am trying my review in the same style…. Even Chelley’s love a good story! 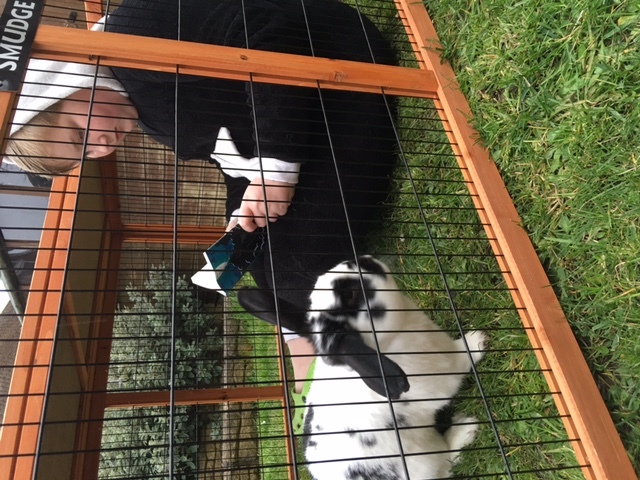 Chelley likes to sit and read. All ready for me to review. It was the sweetest story I’d ever heard. Poor Leo had to follow through. He rides underneath the clouds. He had far too much to say. Even lots of dragon poo! To show loved ones that you care. One page will get you hooked. And that, sadly, is where my story ends. Thomas Docherty is the acclaimed illustrator of THE SNATCHABOOK, ABRACAZEBRA and THE SNORGH AND THE SAILOR. 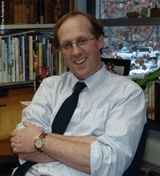 He was shortlisted for the prestigious Kate Greenaway Medal. Have you read The Knight Who Wouldn’t Fight? What did you think? Has this review made you want to go grab a copy? I would love to here from you! Why not leave a comment using the reply button at the top of this review or tweet me on twitter using @chelleytoy! This entry was posted in Picture Book, Review and tagged 5, Helen Docherty, Picture Book, Review, Scholastic, Thomas Docherty on August 3, 2016 by Chelley Toy. I was so excited to be asked to be part of the blog tour for lovely Sue Wallman’s debut book Lying About Last Summer. 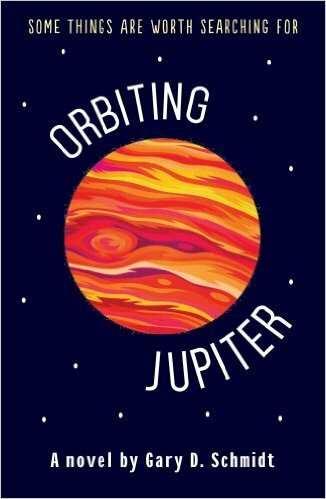 This has been high up on my want to read so badly list ever since I met Sue at Olivia Levez’s book launch and then the week after hearing Sue talk about the book and her writing journey at the Scholastic Blogger Brunch back in March 2016 – you can find all about that day here. A huge thank you to Faye Rogers and Scholastic for having me on this wonderful tour and for sending me the book to read and review! Lying About Last Summer has been high up on my must read now list for a few months…. basically ever since I heard more about it I knew I would love it. It sounded like my kind of book, a thriller, a mystery and with a comparison to We Were Liars meets Thirteen Reasons Why I couldn’t wait to jump straight into the book as soon as it arrived on my door step! I have to say it did not disappoint! Lying About Last Summer tells the story of Skye who after losing her sister, Luisa, in a swimming pool accident is sent to a camp for troubled grieving teens. 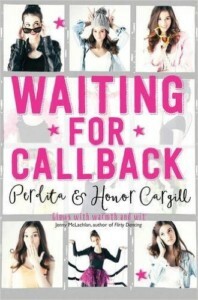 Skye quickly makes friends with her campmates and throws herself into all of the activities set by the camp, but then she starts receiving text messages from her dead sister and she starts to realise that maybe someone on the camp cannot be trusted and to find out the truth she has to think back and face the truth of what happened last summer. Now any one who knows me knows I am a huge fan of the old Point Horror books from the 90’s and initially upon reading the blurb I was excited as it had that feel of a Point Horror title, but in a modern day setting. This in itself intrigued me from the offset. The book begins in the past at Yew Tree House, last summer, where we catch a glimpse of what happened to Luisa, Skye’s sister and how Skye was involved. Straight from the offset the writing draws you into the setting and you can quite easily imagine a hot summers days lounging by a glistening blue pool. In fact water features quite a lot in this book giving it a summery feel. For me this set the tone of the book and the writing style as it absorbed me into it’s pages. We follow Skye’s journey of grieving for her sister, the guilt she feels and the secrets that surround her from the past and in the present. I warmed to Skye straight away and really liked her and her voice. I really felt what she was feeling in every moment whether that be dealing with her feelings of guilt, grief or trying to move on with her life. I loved how the mystery of what happened last summer is gradually revealed to the reader in flashbacks to different parts of Skye’s life pre losing her sister, Luisa, and I feel that this let me get to know Skye even more. Even the other characters in this book are brilliantly well crafted and completely relatable and with realistic flaws and all. Some you will love (Toby & Brandon*daydreams*), some you will hate (JOE – yes I used capital letters to express my dislike – ugh – don’t worry he was written that way) and some you feel like old friends (Fay *cuddles*). You will totally understand all this is you read the book I promise. I don’t want to go to much into the characters through fear of spoilers, but I as well as Skye suspected everyone throughout the book! It kept me guessing! 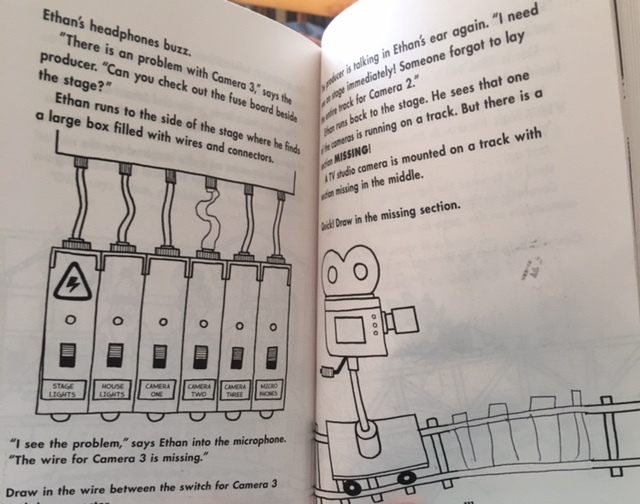 I also loved the way that you get a sense of what each of the characters back grounds are and what they get from being at the camp is really evident as the book nears the end. I think one of my favourite scenes in the book are the scenes where Skye returns back to her old home and see’s Toby. The whole scene just captures so many emotions. Old memories left behind and old friends left behind, guilt, grief and love. 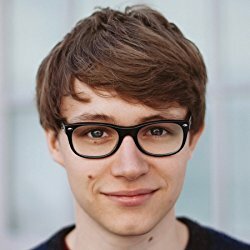 I would loved to have seen more of Toby, who appears mainly in flashbacks, but who in just a few short scenes made me smile and maybe swoon a little, but don’t tell anyone. This book is a brilliant debut. It’s a quick fab read that is soaked with tense suspense, realistic characters, sun drenched in mystery and shines brightly with beautiful writing. You will love every page of it. 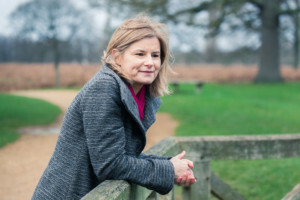 Sue Wallman is a journalist who lives in London with her husband and three teenage daughters. 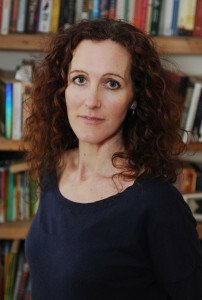 In 2013 she won the Bailey’s Women’s Prize first chapter award judged by Rachel Joyce and Kate Mosse. LYING ABOUT LAST SUMMER is her first novel. Have you read Lying About Last Summer? What did you think? Has this review made you want to go grab a copy? I would love to here from you! Why not leave a comment using the reply button at the top of this review or tweet me on twitter using @chelleytoy! 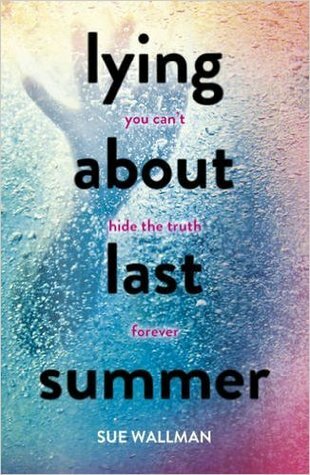 This entry was posted in Mystery, Review, Thriller, UKYA, YA and tagged 4, Blog Tour, Lying About Last Summer, MYSTERY, Review, Scholastic, Sue Wallman, Thriller, UKYA, YA on May 4, 2016 by Chelley Toy. A huge thank you to Faye Rogers , Andrew and Chris Judge and Scholastic for having me on this wonderful tour and for sending me the book to read. Yes, YOU, reading this blog! I received a very fun looking book in the post a few weeks ago! It was then I realised that this was no ordinary book! It was a book with a secret mission….a Spy Mission with none other than….. Ethan Doodle! I grabbed my pencil and was all set to go! 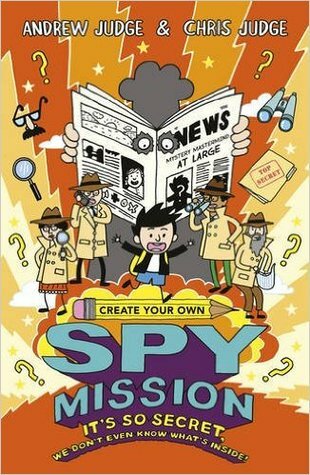 I soon realised that joining Ethan on this Spy Mission was no ordinary task! With my pencil in hand I knew I had to be prepared for just about anything…. I was ready to follow Ethan on his adventure and finish his doodles to help him carry out his top secret mission! No THRILL is too thrilling! No DANGER is too dangerous! 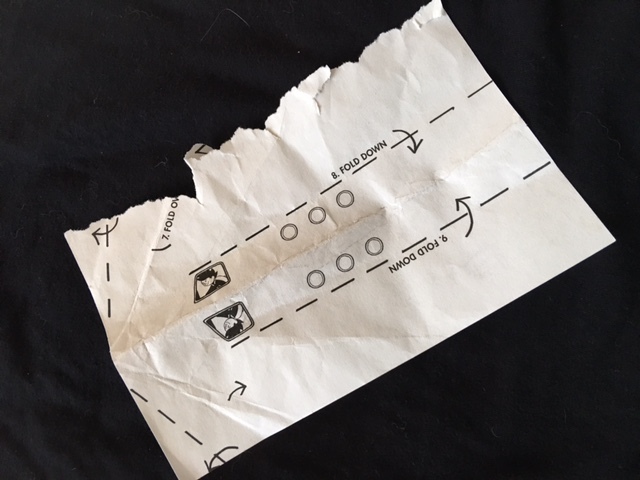 This book was going to be drawn in, ripped and folded! I crumbled at the first hurdle….I was not prepared for this! I WAS NOT CUT OUT TO BE A SPY! 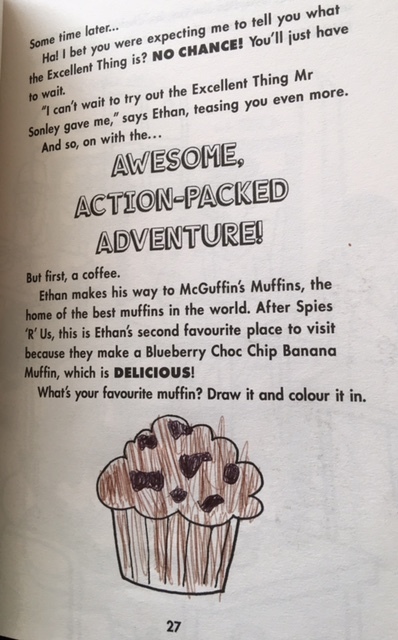 Meanwhile somewhere in the Create Your Own Spy Mission book Ethan Doodle was about to parachute through a window that wasn’t even drawn yet! Oh go on then…one last scream! There was only one person that could save him! One person worthy enough of joining him on his TOP SECRET spy mission and discover the truth….oh and maybe save Ethan from his fate! It was time to release the beast from his cage! IT WAS TIME TO UNLEASH THE SECRET WEAPON! Corey took the glowing orange book from my hands shaking his head ashamed of his Mom letting Ethan Doodle down and got straight to work! Corey saved Ethan when he jumped out of a plane by drawing a parachute! Corey drew money when Ethan needed cash! Corey guided Ethan’s drone through the vents! Corey unoccupied the toilet when Ethan was in need of a wee! Corey saved him from prison and cracked codes! Corey was everything Ethan ever wanted in a Spy partner! And who knew Corey could bake!? Corey doodled and folded. Folded and doodled. 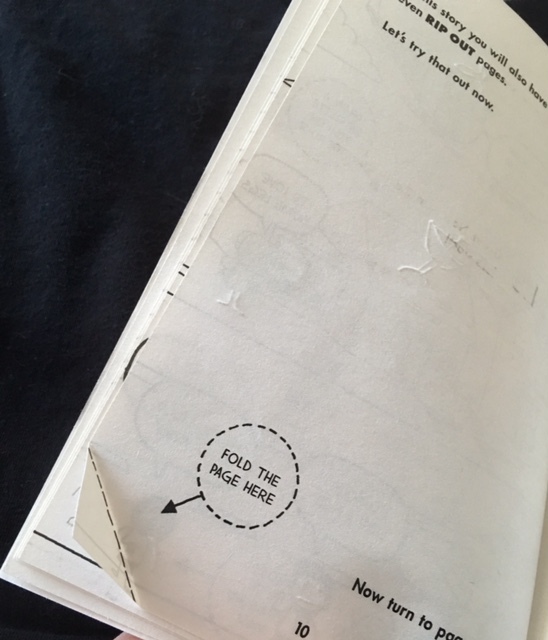 Ripped pages and laughed at his Mom freaking out over ripping a book. He solved puzzles like a pro and smiled and laughed. He read Ethan’s spy story, joined in and had so much fun! I looked on in awe! I might have cried a bit….and not just because Corey was having so much fun folding and ripping! This book brought back fond memories of my own childhood reading books where you would turn to a different page dependant upon what path you chose whilst reading. Corey laughed at all the jokes in this book a lot and I did not see him until he had successfully complete his mission! Ethan could not be in better hands! We award this book 5 out of 5 Tales Of Yesterday Books! 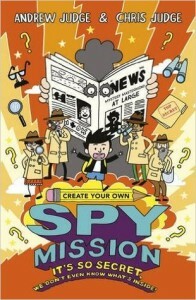 Have you completed the Spy Mission? What did you think? Has this review made you want to go grab a copy? I would love to here from you! Why not leave a comment using the reply button at the top of this review or tweet me on twitter using @chelleytoy! 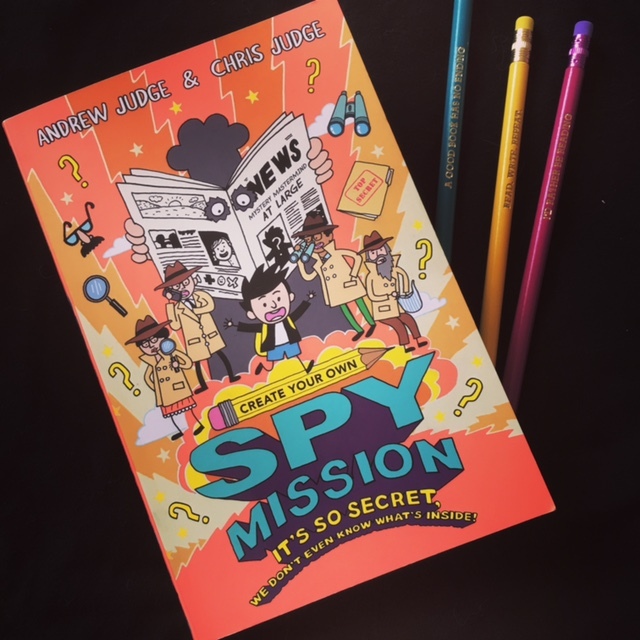 This entry was posted in MG, Other, Review, UKMG and tagged Andrew Judge, Chris Judge, Create Your Own Doodle, Create Your Own Spy Mission, MG, Review, Scholastic, UKMG on April 6, 2016 by Chelley Toy.